We believe in giving back to the community who helped us become the success we are today. Although there are many worthy ways to give, we make a point to support local schools and kids' programs in and around the Arlington area. We are an especially proud supporter of Arlington’s Little League Rookie Team, The Cardinals. Because bringing the community together is also something we believe in, we lend our support to many of the ongoing and annual events in Arlington, which not only support the local economy but also brings neighbors together. 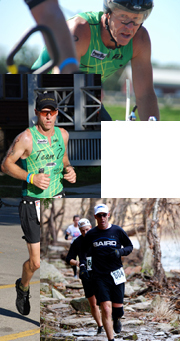 And, for the thrill seekers and exercise junkies among you, Baird Automotive is a proud and enthusiastic sponsor of EX2 Adventures, Team Z and Potomac River Running. Check out some of these events - we hope to see you out there!